Happy with that? My work is done here... I'll leave you to chew over the draw. After dumping Hamilton Accies out, Annan Athletic will fancy their chances at home to Morton, while holders Inverness CT might be a bit nervous about a trip to Fir Park if they can get past Stirling Albion in their replay. Motherwell are a team on the up. The fifth round ties will be played on the weekend of 6/7 February. Well, they saved the best one for last... An Edinburgh derby at Tynecastle, a repeat of the 2012 final. 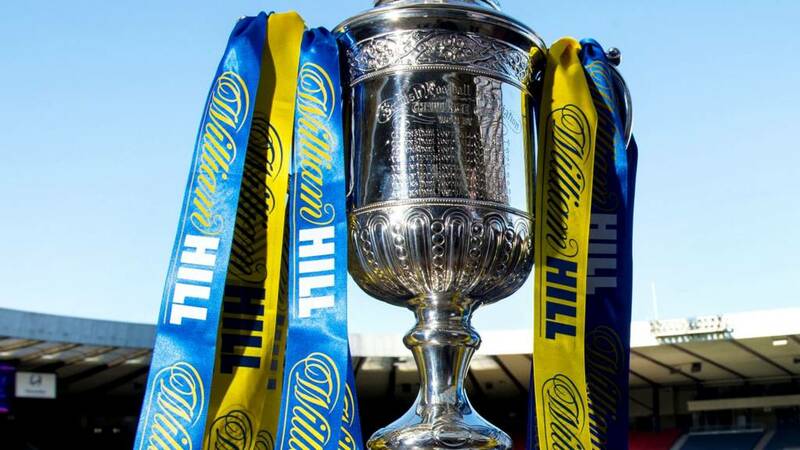 And what about East Kilbride Thistle or Lothian Thistle Hutchison Vale v Celtic? Inverness Caley Thistle's maiden success in the Scottish Cup came at the first time of asking and St Johnstone did the same in 2014, lifting the trophy in their first final. Cheesetown Muses on Twitter: "#bbcsportscot Linlithgow Rose at home to Celtic will help clear the way for a Rangers success. Mon the Rose." Marko Koning on Twitter: "Last few hours at work but now following the draw from Groningen (NL). Home draw for Rangers... against the Bhoys of course #bbcsportscot"
Nahid on Twitter: "@BBCSportScot#BBCsportScot#ictfc at home to @falkirkbairns will be great:)"
There are three replays to come, with Linlithgow Rose and Forfar sharing six goals, Dunfermline and Ross County sharing four and cup holder Inverness CT held to a goalless stalemate at Stirling Albion.